Counting down the ten most recalled ads, in association with TNS and Ebiquity. Aldi's "Like brands. 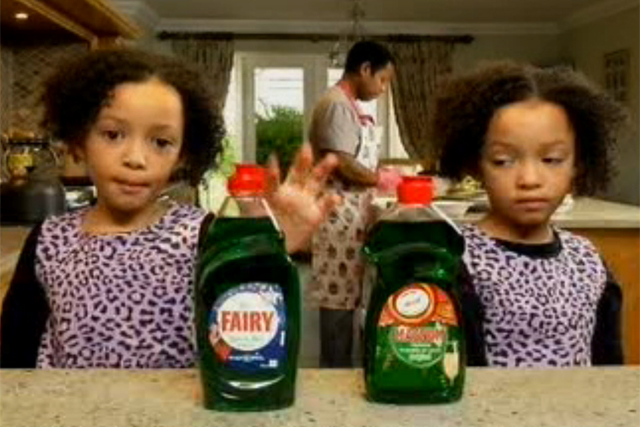 Only cheaper" campaign was this week's most recalled ad, with its humorous spot showing a couple of young girls talking about washing up liquid..
Aviva has reached second spot with its latest ad featuring comedian Paul Whitehouse, while the rapper sometimes known as Snoop Dogg has helped propel MoneySupermarket.com into the top five. Adwatch research was conducted from 20 - 24 February 2014 by TNS as part of its twice-weekly OnLineBus omnibus among 1000 adults aged 16-64. For details of the survey, contact Anita.Emery@tnsglobal.com (020 7656 5900). Ads were compiled by Ebiquity (020 7650 9700) and Mediaedge:cia UK (020 7803 2000).